With more than 330,000 visitors to the Hannover trade fair over five days, the annually held CeBIT expo is one of the world's largest and best recognized computer and digital technology shows. 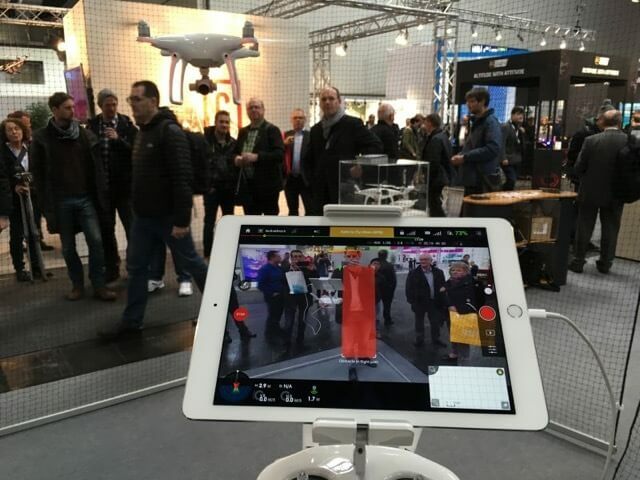 This year, Hall 16 was dubbed Dronemasters and dedicated to companies showcasing the latest in aerial technology. 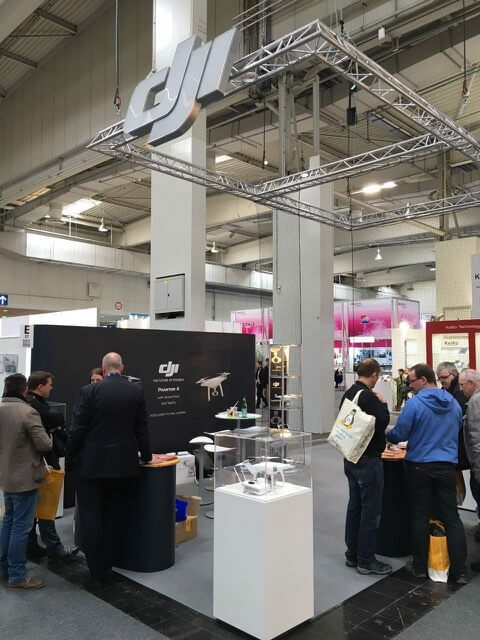 Drones turned out to be the biggest draw at this year's fair, and naturally DJI was present and received a large amount of traffic over the week. Many delighted smiles appeared when people saw the demonstrations of our new, smarter than ever Phantom 4. The special DJI booth brought some of our best highlights — the advanced, transforming Inspire 1, the handheld Osmo camera, and of course also our recently launched and most intelligent drone ever, the Phantom 4. Guests to the DJI booth were able to see the Phantom 4 in flight and experience some of its most impressive features, including being followed and filmed by ActiveTrack and seeing themselves on the screen in real-time. To demonstrate the capabilities of our Inspire, we teamed up with our partner Vodafone who brought a 24h GT3 Porsche to race as part of their outside activation. 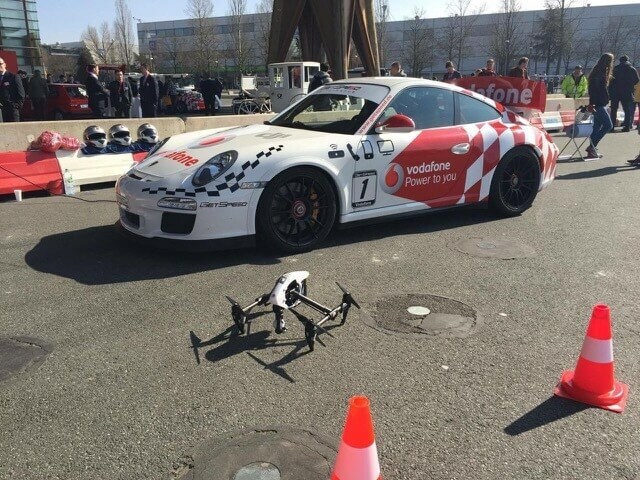 As the first company ever to get permission to fly a multicopter on the CeBIT fairgrounds, DJI followed the racing Porsche and live streamed it to visitor's VR goggles in the Vodafone booth. This was both en exhibit of the amazing experience of aerial flight, and Vodafone's next-generation technology that was used to stream the video.